The City of Wolverhampton Bonfire Night returns for its fourth year at Wolverhampton Racecourse on Friday, November 2. Due to Wolves FC’s Premier League fixture with Tottenham now taking place in the city on Saturday, November 3 (ko 7.45pm), it has been decided the bonfire night should be on the Friday of what is the school half-term holidays. This will allow families to attend both events if they wish and prevent putting added pressure on car parking and traffic in the city. This year’s fun-filled, family-friendly bonfire evening will include a fun fair, food court, various bars and music with entertainment from Signal107. Entry prices remain the same as last year with advance tickets £5 for adults and £3 for children and on-the-gate tickets £6 for adults and £4 for children. Free parking is also available. Tickets will go on sale from 9am on Tuesday, September 18. Gates open at 5pm and the children’s display begins at 7pm. Wolverhampton Mayor, Councillor Phil Page, will officially light the bonfire at 7.30pm and the main event climaxes at 8.30pm with a spectacular firework display to light up the night sky. 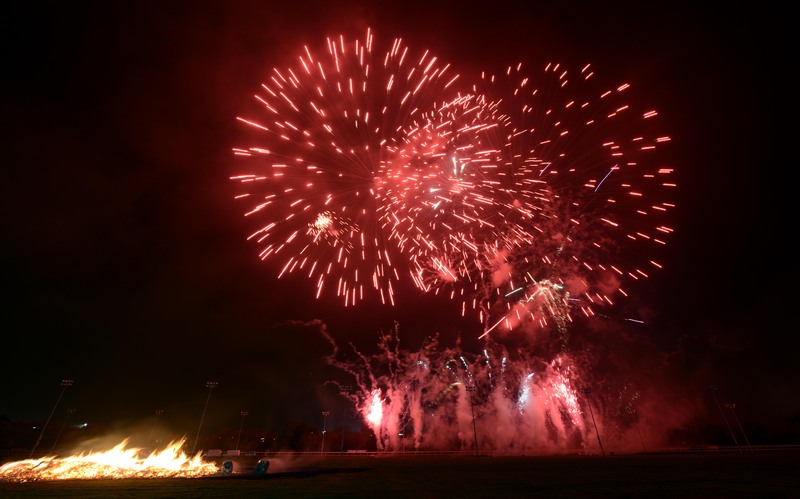 Councillor John Reynolds, Cabinet Member for City Economy, said: “The bonfire and fireworks events have been hugely successful at the racecourse these past three years and this year should be no exception with such a fabulous display lined up again. Those wanting to keep warm this bonfire night will be able to purchase a ‘Stay Warm Package’ for just £17.50 per person. This includes admission, access to a shared hospitality box (which you can watch the firework display from), a roast bap, a drink (pint of beer, 125ml wine or soft drink), and a dedicated bar and toilet facilities located on the first floor. Tickets can be purchased ahead of the evening at the Holiday Inn Reception, at Wolves Civic Box Office (Wolverhampton Art Gallery), or at www.wolverhampton-racecourse.co.uk. Advance tickets will close online 48 hours prior to gates opening, at 5pm on Thursday, November 1 from the Holiday Inn Reception, and at 4.30pm on Friday, November 2 from the Wolves Civic Box Office.